Since the establishment of Mayor Bill de Blasio's Vision Zero initiatives intended to increase public safety on the road, traffic ticket revenues have become big business for New York City. In 2016, the city collected a record $1.9 billion in fines and fees on everything from speed cameras to parking violations. These revenues continue to grow as the city increases enforcement of tougher new laws. With the passing of a confusing series of new laws, drivers are subject to more potential violations than ever. Ignorance of the law is never a defense, yet drivers can often find themselves bewildered by the reason for the ticket they receive. Debating or arguing ticketing rationale with the police or traffic enforcement officer never works,can result in a frustrating experience with the officer and leaves drivers with the choice of paying high fines and fees or going to court. One of the toughest laws on the books addresses the use cell phones or other electronic devices while driving in New York. If you’ve received a cell phone ticket, you may be surprised at the reason. New York City’s Vehicle and Traffic Law Section 1225(c) & (d) outlines the violations for cell phone use and other portable electronic devices. The list and circumstances are considerable. In general, a cell phone may not be used while a vehicle is in motion. For commercial vehicles, the law goes further by explicitly stating that a driver may not use a cell phone even when stationary in situations like a stop light or stand-still traffic jam. In order to use a cell phone, a vehicle must be motionless and parked off a public way. What this statement can mean is that even if a driver is merely holding a phone near the ear, they are assumed to be talking on it. A police or traffic enforcement officer has complete discretion on how to apply this section of the law. For many, this discretion can open the door to arbitrary ticketing. New York City traffic attorneys have been seeing instances where drivers can be, and have been, ticketed for cell phone violations even when they are not engaged in a call. The law does not limit violations solely to cell phones, but includes other electronic devices as well. Many types of electronic devices are prohibited, and they include hand-held devices like, pagers, gps, electronic games, or anything with mobile data access such as a laptop. Even “viewing” can be considered a violation, which includes all GPS devices. In a decision last June 2017, The Third Department Appellate Division stated that the definition includes “any portable electronic device that diverts a driver’s attention away from the road and prevents the full use of a driver’s hands.” It seems that the court is giving even more discretion to law enforcement. Fines and fees for violating the distracted driving laws come at a high price. For a first offense, 5 points immediately go on a license and the fine can be up to $200. For subsequent additional violations, the fines can increase up to $450 and an addition 5 point penalty is imposed for each individual violation. Surcharges also are automatic, with an $88 surcharge per violation and additional assessment fees for excessive points. While the cost of fines and fees are obvious initial expenses, tickets can cause additional long-term problems with insurance and license points. Points are cumulative over an 18-month period and can result in more fees and penalties, or licenses suspension or revocation. In addition, even after the 18-month period, a violation remains on a driver’s record permanently and can be used as a reason for insurance companies to raise premiums for years after the event. 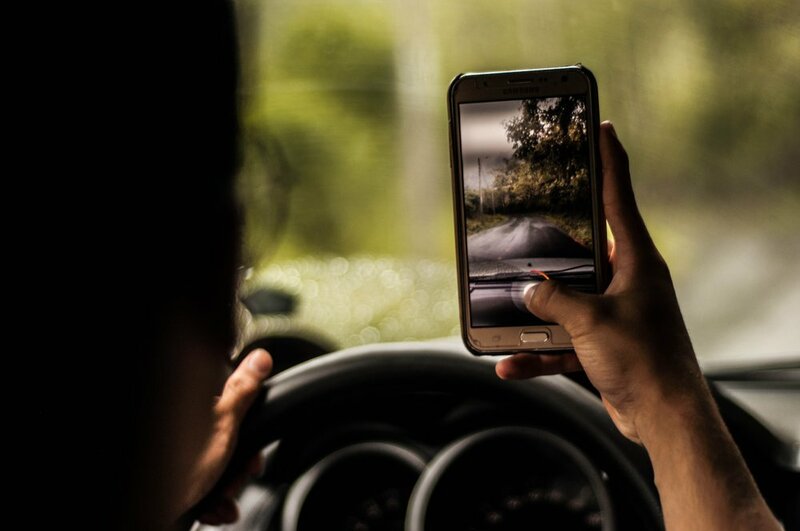 The good news for drivers is that when the original distracted driving law was passed in 2011, Governor Cuomo indicated it had a “rebuttable presumption.” What that means is that while a ticket can be issued for sometimes unclear reasons, it can be dismissed in a court law under certain circumstances. Drivers should know that paying the fine for a cell phone ticket is an admission of guilt. The fines, fees, and points are then guaranteed with no recourse. Consulting with a New York traffic lawyer can provide critical guidance for particular situations that can save time, money, and reputation in the long run.